This is a very special tasting aboard the good ship Irene. 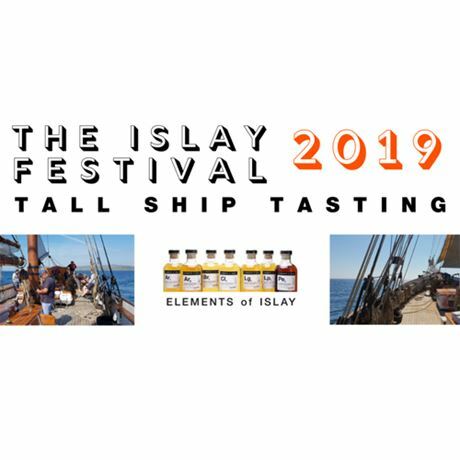 You’ll be tasting through the latest from the Elements of Islay, Port Askaig and Single Malts of Scotland range, with Julie Hamilton, brand ambassador for Elixir Distillers and long-time friend of The Whisky Lounge. The Irene is one of the last remaining wooden sailing ketches in the world. She is over 100 years old, a sight to behold and has a fascinating story herself, which the ship’s crew can tell you all about whilst aboard. This is a fantastic opportunity to look around the historic boat whilst tasting some very good whiskies. The Elements and Port Askaig range are becoming world-renowned for offering incredibly good single Islay malts for realistic prices. Most are bottled at cask strength and all are non-chill filtered and uncoloured. What more could you possibly want? We’ll be boarding the Irene at Port Ellen Pier at 10.45am sharp. You won’t need your sea legs for this one as we will be safely moored at the Port Ellen Ferry pier, but you may want waterproofs (if it rains) and grippy shoes for the deck.